Montana Natural Products likes to deal with juniper wood. This member of the cedar family grows slow and strong, and after being exposed to the elements develops unique twists and turns in it. That makes it a great taxidermy supply, and the ideal piece of wood to mount a fish or duck (or if you have a life size, stumps and logs look great under a bear or lion). 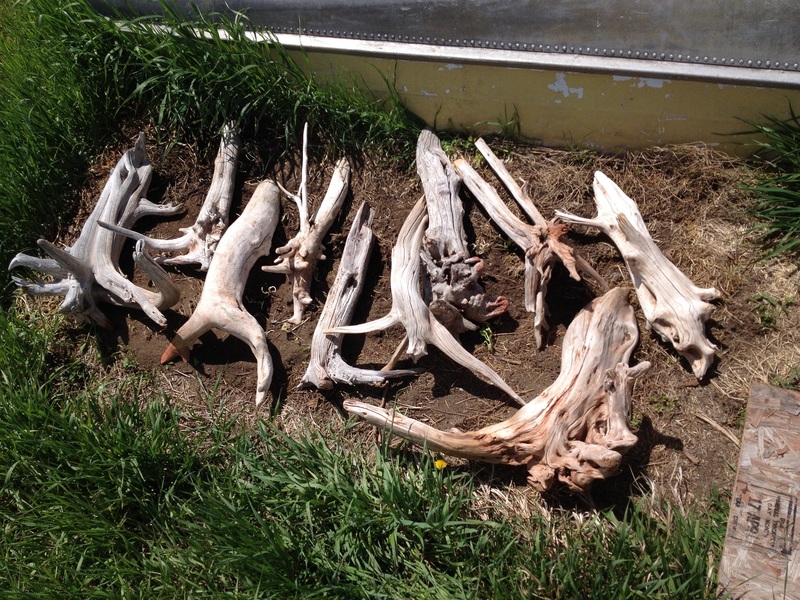 Juniper wood is great when used as a taxidermy supply, but it also has so many other uses. The character is brought out in lamps and furniture, the natural silver patina that develops when it is left in the sun can add to anyone’s landscaping, and the smaller pieces are perfect to include in a floral arrangement. And part of what makes this wood so great is the fact that it grows so slowly. Juniper is actually a very wide category of trees. There are a number of different species that range from low growing shrubs, to tall slender trees 30+ feet tall. The wood that we deal with here at MTNP is almost all Utah Juniper. This species is specially adapted to the hot dry summers, and the cold harsh winters that we have. And because of the dry climate, and the fact these trees have to be able to survive through long periods of drought, they don’t grow very fast. In fact, during the “fast” period of growth, these trees expand at a rate of about .8 inches per decade. That means if you have a branch that is 4 inches in diameter, that branch is at a minimum 50 years old. Whenever I get a nice clean cut on a piece of wood, I like to look at the rings and try to count to see how many there are. I often lose track, but I have found a branch that is about 2-3 inches in diameter is actually much older than the average. It turns out this area is causes even slower growth, and a 2-3 inch branch is somewhere around 80 years old. This is not surprising considering Juniper trees can live up to 650 years but only grow 10-15 feet tall. 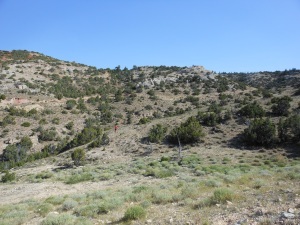 And just in case you’re interested, most junipers won’t produce seeds until they are over 30 years old, and some of those seeds can lie dormant for nearly half a century before germinating. You may be wondering how a tree that takes that long to grow can be sustainable. The reason is that I never cut down a living juniper tree (in fact that’s illegal). Instead, I find those that are dead and down, and have often been sitting around for decades before I gather the wood. So don’t worry, I’m not destroying the environment to bring you the finest taxidermy supplies around. Collecting and delivering taxidermy supplies is actually my secondary job. During the day I am a web content developer from Billings, Montana. That means I write content, a lot of content, for websites. Things have gotten busier with that job, so I haven’t had a whole lot of time to add pictures and store items to this one. Don’t worry, it will get there. If you need supplies, want to order a product, or anything else, all my contact info is below. You can go ahead and get in touch with me to see if I have what you’re looking for.